I know everywhere you are looking is another peanut butter and jelly recipe of some kind. The ever-present peanut butter is really the best tasting sweetener around. So comforting tasting, and I will add it to everything and anything possible. 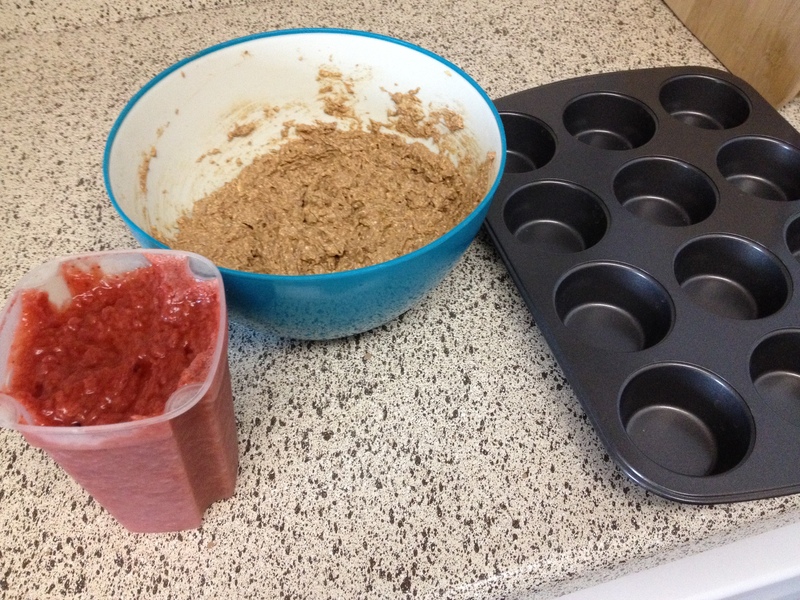 Well I decided to do my peanut butter muffins a little different by making my own jam! 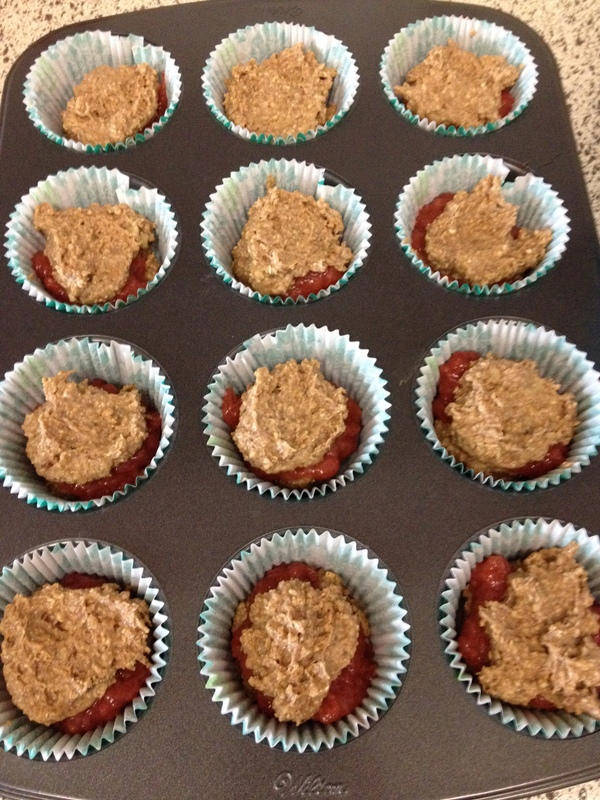 Here is my Gluten Free PB and Homemade Strawberry Jam Muffins. 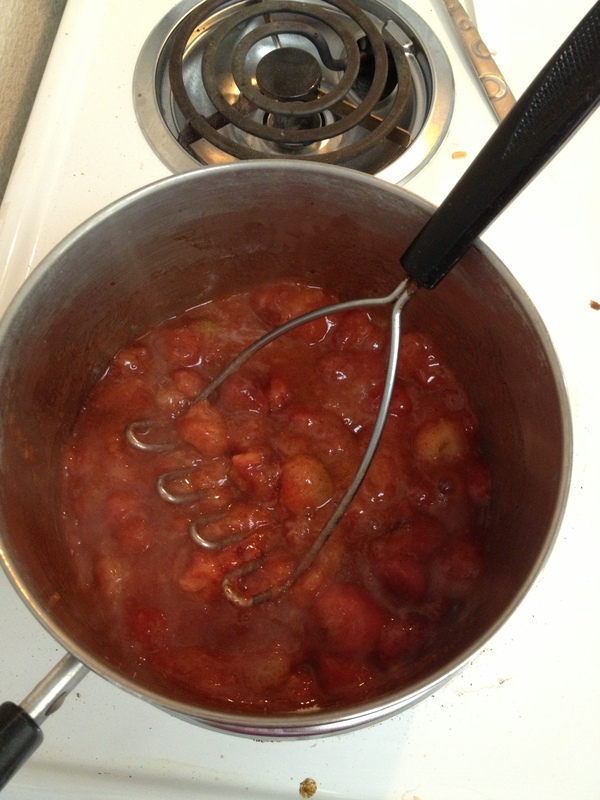 I have come to seriously love jam making! It is so fast, and costs less than buying it in the store. I mean, I buy my frozen fruit at Dollar Tree and I have everything else at home. 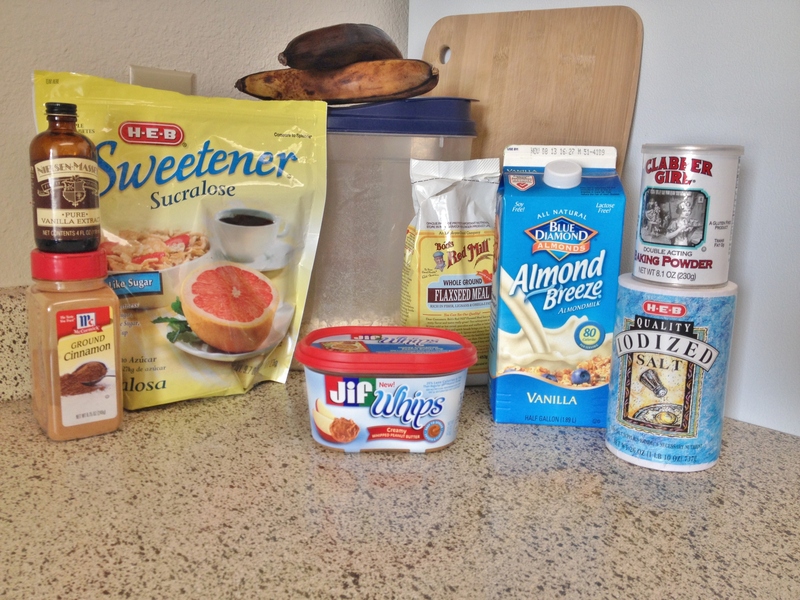 Vanilla and cinnamon, pectin and no-cal sweetener? Yep, all there at home waiting for another jam foray. 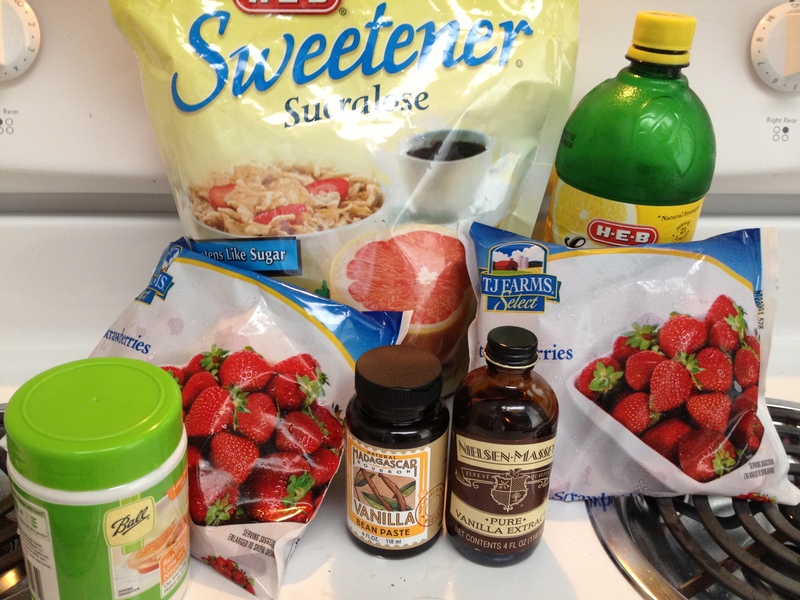 This time was all about the strawberries. And it only takes ten minutes total to make, then it goes in my fridge and a few hours later? Yumminess! As for the peanut butter….Oh gosh – I have found a new nirvana. It is called Jif Whips Peanut Butter. It is oh so soft and creamy, almost mousse like. Hear me when I say – I could bathe in this it is that amazing. I bought this myself because Target had a $2 off coupon, and with me always wanting to find a new and amazing peanut butter, had to buy it and try it. Seriously, it even has fewer calories! 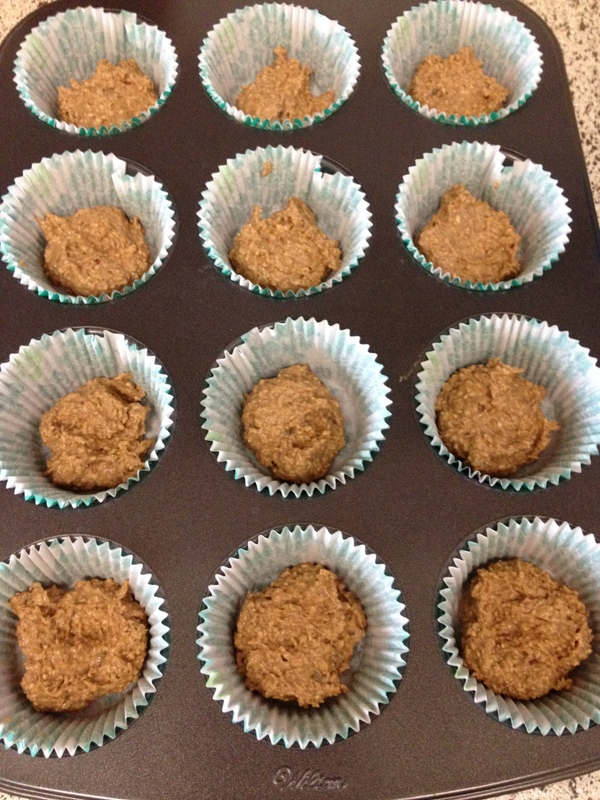 The muffins were just super easing. 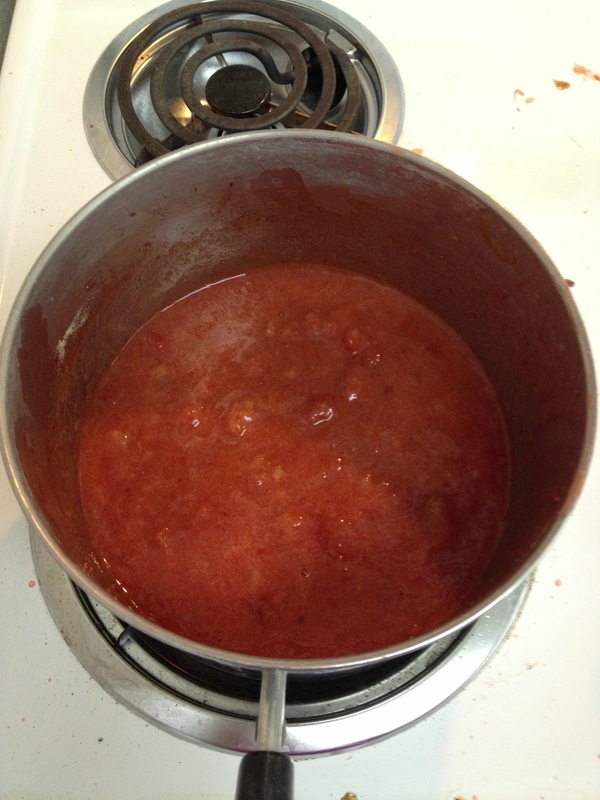 The dried ingredients all in a smaller bowl and whisked gently together. Everything else but the milk into a larger bowl. 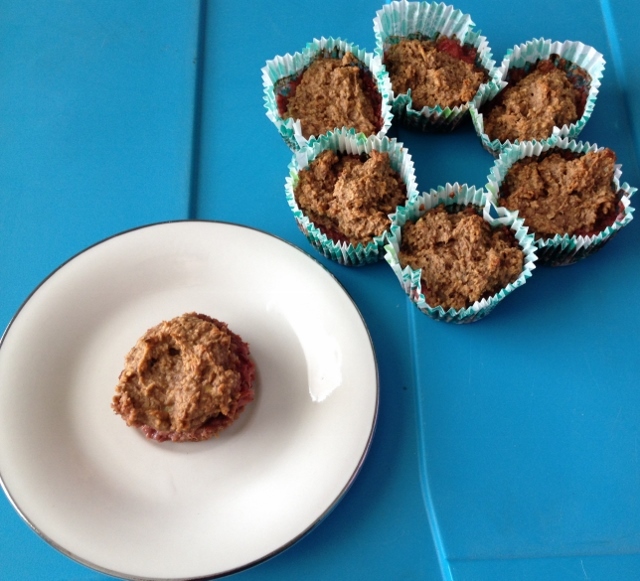 I used a cup of the awesome peanut butter and only a 1/4 cup sweetener so the real flavor and any sweetness in the muffins is all from the pb. 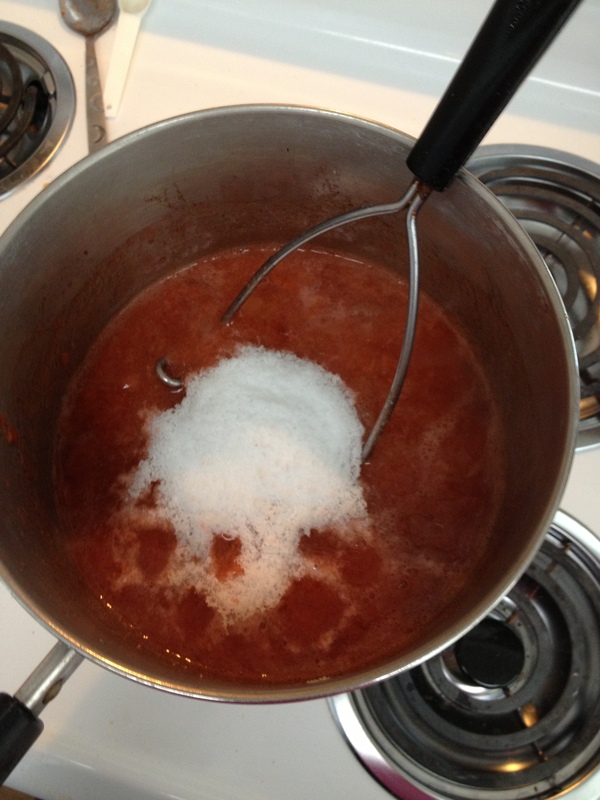 I used a hand beater to mix the wet ingredients, adding the milk a little at a time. 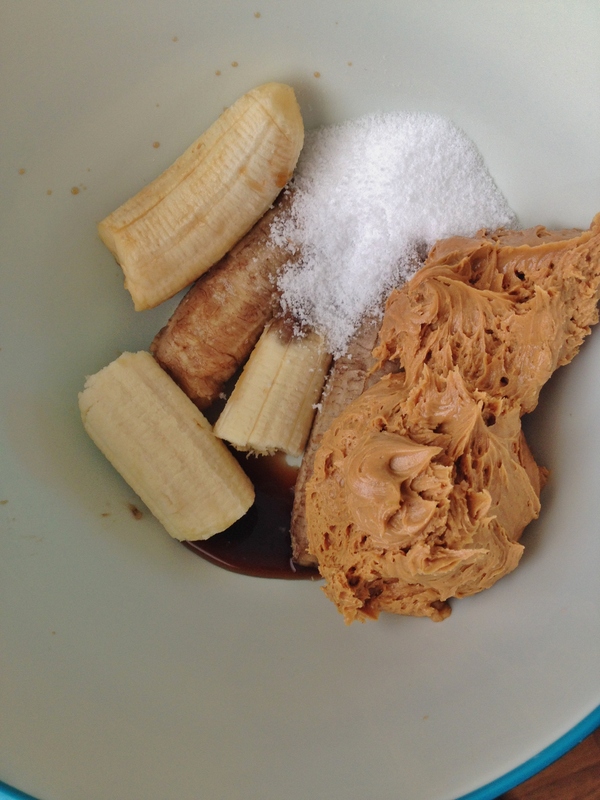 So much easier than trying to just use a spoon to mix these bananas and pb together. As for the baking, fill the cups with about a tablespoon batter, then about a teaspoon jelly then another tablespoon batter. Bake 25-30 minutes. With the jelly in the middle it takes longer for these to bake up. They are only the tiniest bit dense from the oats, but the pb flavor and sweet jelly totally make up for that. 3. Take off burner and mash with potato masher. 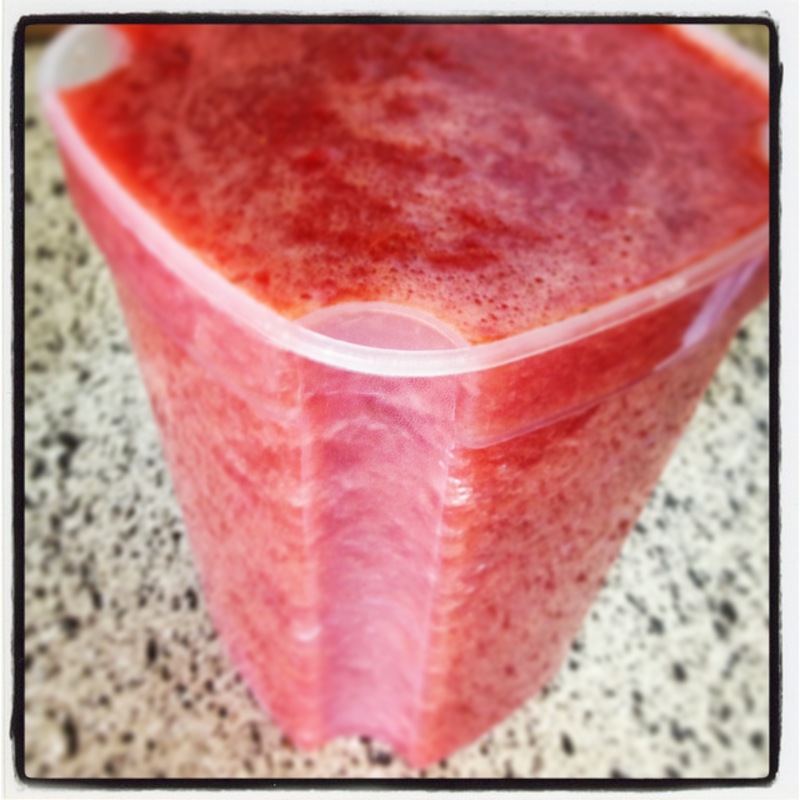 Pour into container then let set / cool in refrigerator. 1. 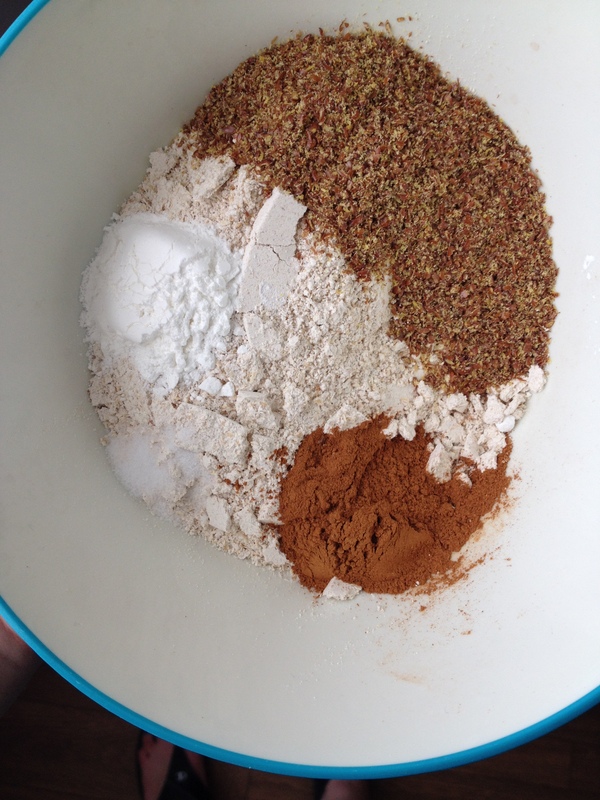 In smaller bowl add flour, flax, baking powder, salt and cinnamon. Whisk gently. 2. In larger bowl add all other ingredients except milk. 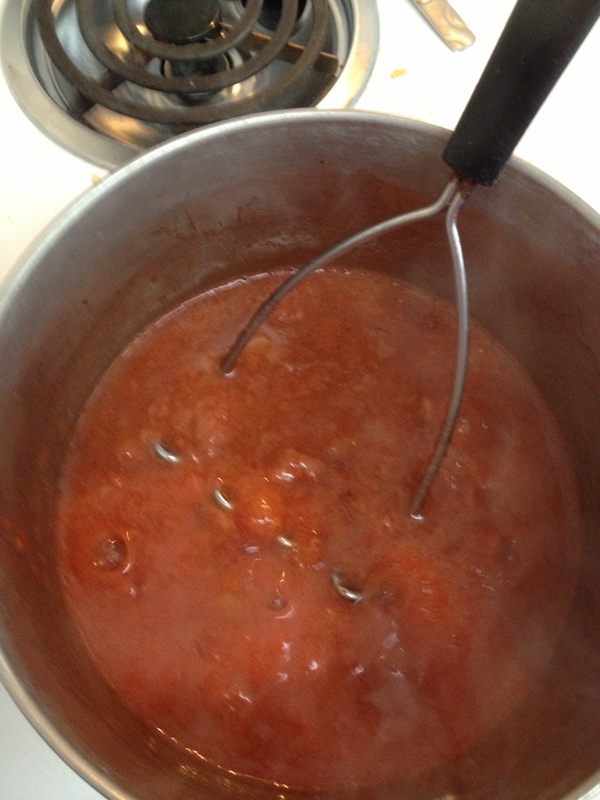 Put hand mixer together and start to gently beat ingredients. Add milk slowly so it won’t splatter. 3. 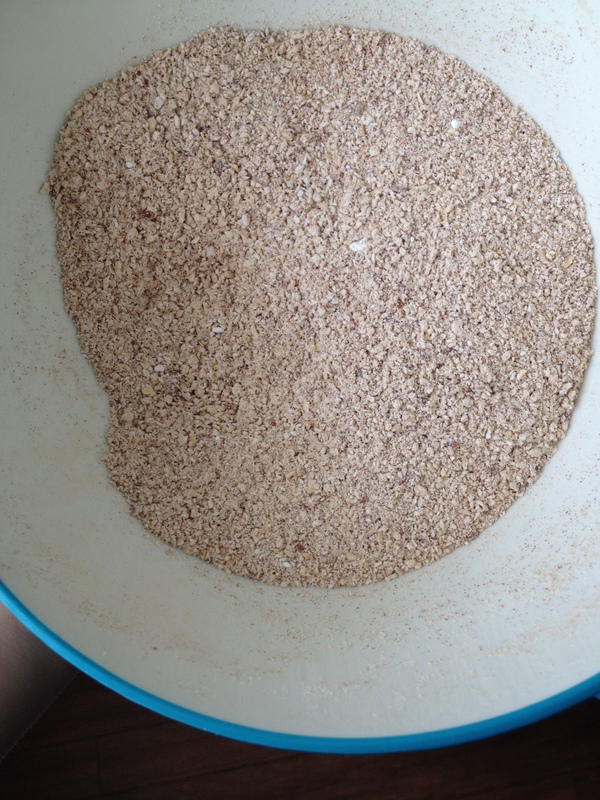 Add dry ingredients to wet and milk until combined. 4. 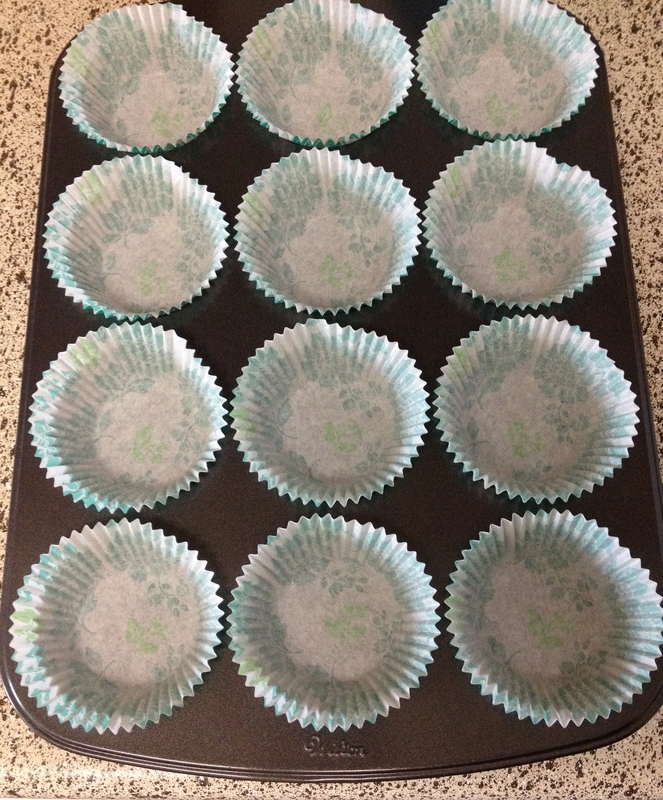 Oven set at 350 degrees, line muffin pan. 5. Add one tablespoon of batter to bottom of each cup. Add one teaspoon of jelly. 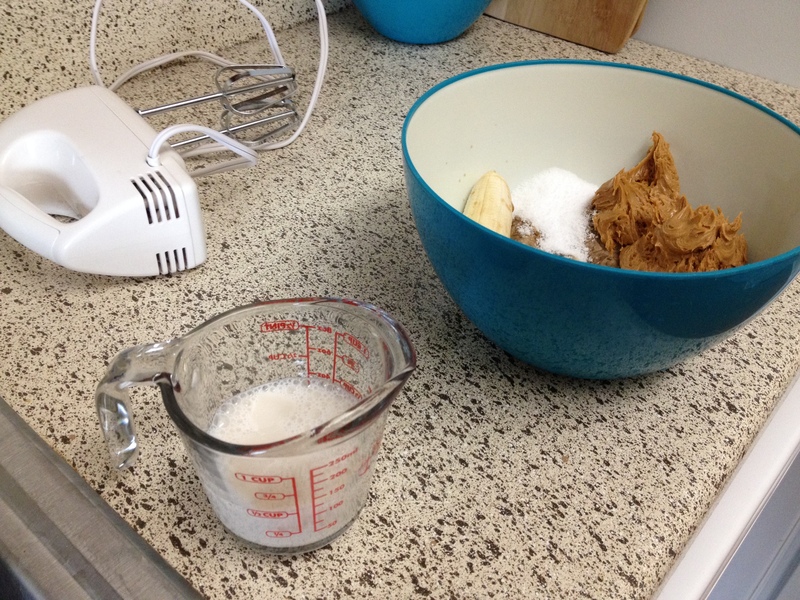 Add one more tablespoon of batter.